Have you been itching to go on a fishing trip? We completely understand and are excited to see you! But before packing your tackle box and gear and jumping in your car, it’s important to save money and plan before you go. So what can you do to make your fishing dream come true sooner rather than later? If you want to set aside $1,000 for your trip, write down that goal and place it somewhere so you can see it daily like your refrigerator. Now that you have a set goal you wish to achieve, you’ll need to make a list of what you currently spend money on every day and try to see where you can make some cuts. Then, determine a budget that will help you obtain your goal of saving money for your vacation. So you know you want to go on a fishing trip, but have you thought about where it is you wish to go or when? 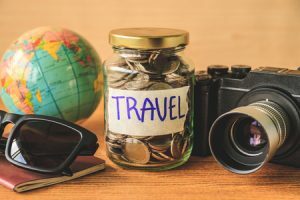 Once you have an idea, then you have a set amount of time to save the necessary money needed to make the trip a success and your budget will become less intimidating when you see that you can break things down into smaller increments each month. The next time you buy that shiny object in the store you had to have, think about using your money to create memorable experiences like fishing with us at Mattice Lake Outfitters instead. We will become your all-time favorite fishing destination, so plan your fly-in fishing adventure online today!